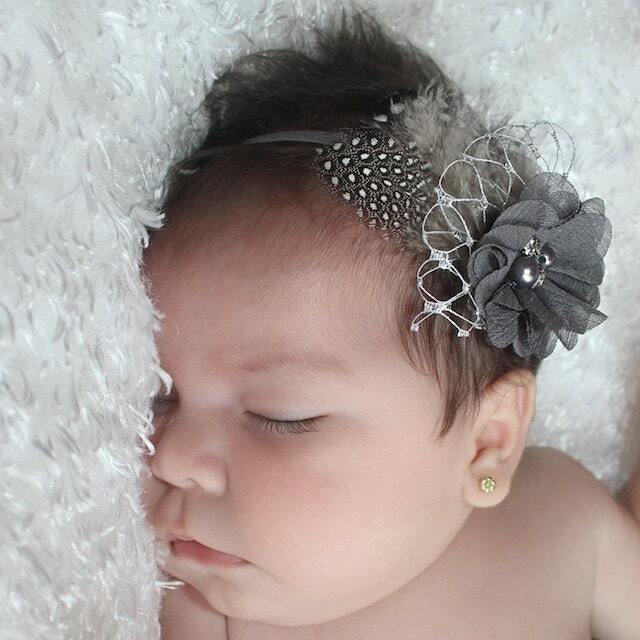 This Feathers Headband is 1.5". 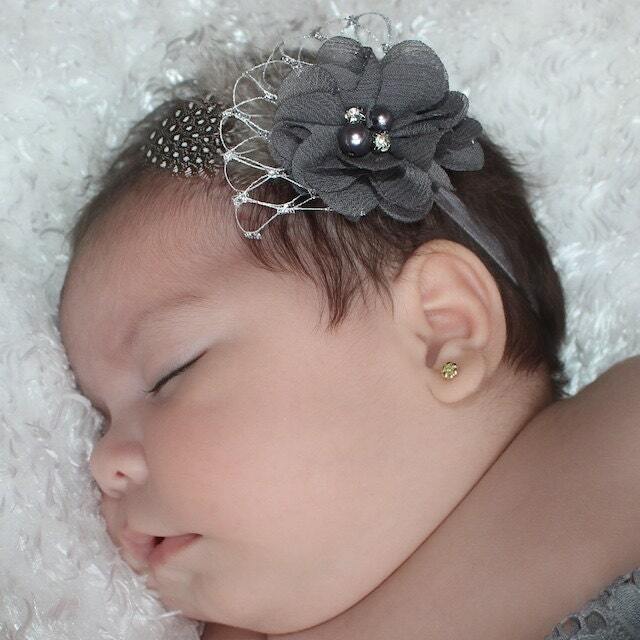 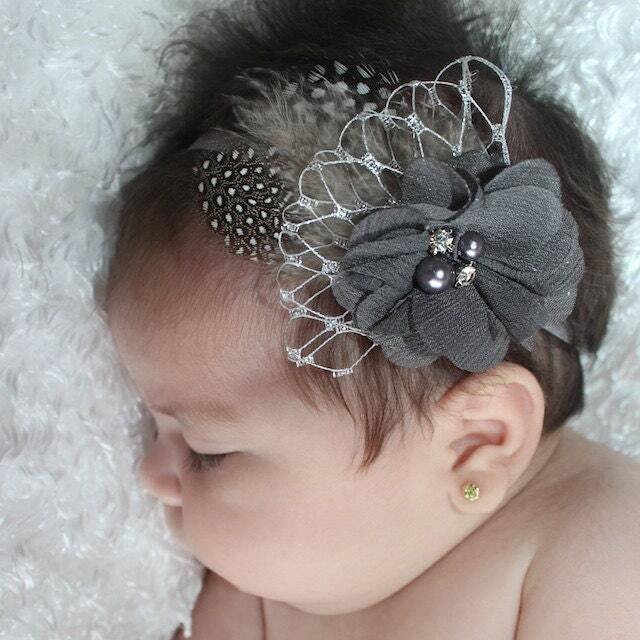 This headband has Pearls, Rhinestone, Feathers, and a very nice net. 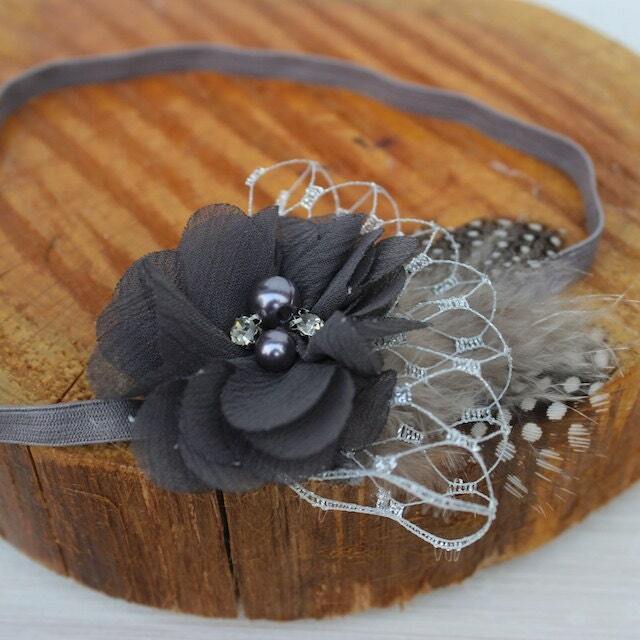 It is attached to a 1/4" gray elastic band.